Many years we hem and haw about taking Christmas and holiday decorations down. This year the timing of the long weekend and garbage/yard waste/recycle day helped our decision. 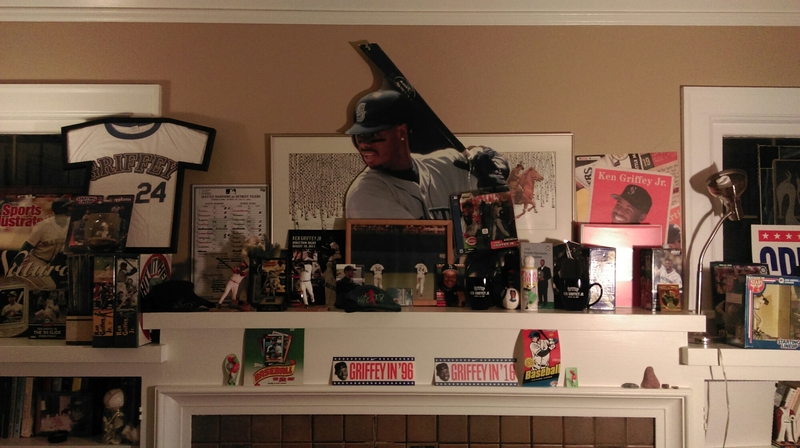 But another big influence was the pending announcement of Ken Griffey Jr’s election to the Baseball Hall of Fame. 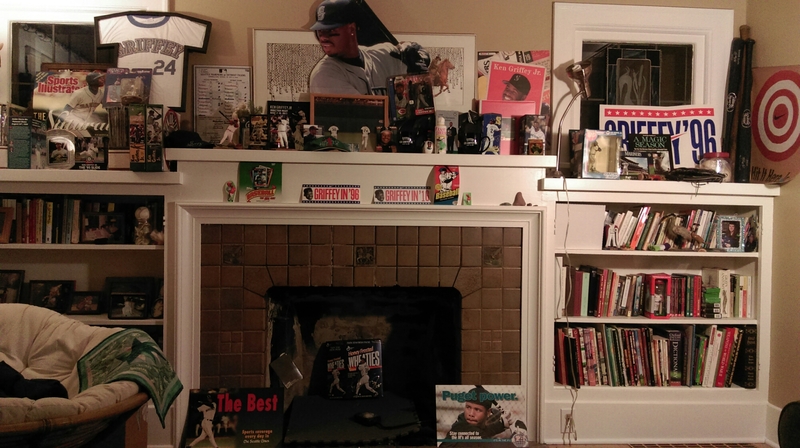 Carl is a shrine Zen master, and the mantle is never clear for long. Zoom in to find your favorite bits. Bumper stickers to squeeze cheese. I don’t know whether we still have the chocolate bar wrappers. The chocolate disintegrated years ago. Our HOF vacation planning has already begun. A few months ago. To get a hotel room for the HOF weekend is helped by forward planning. We are a few miles out of town. We are also still on a waiting list for a room in Cooperstown. This particular proprietor does not take reservations until the elections are announced. He is a character, apparently. Recommended to us by a friend who is also a character. I checked his reviews and they are pretty consistently low, with details provided. I guess if you know what you’re getting. 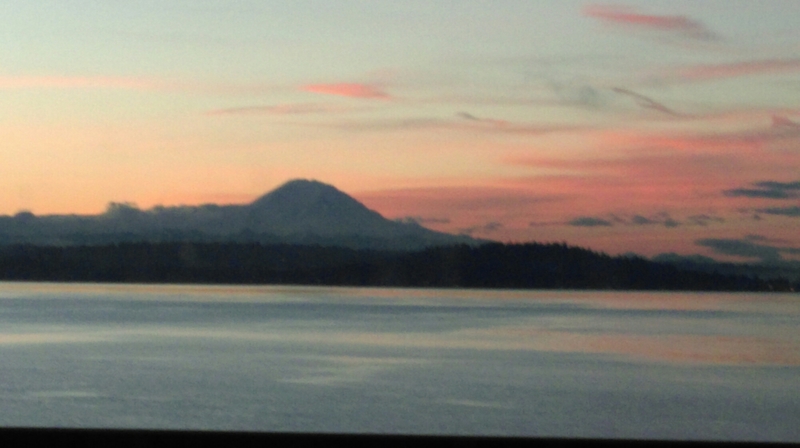 This next picture is for Ashlan, who did not see the Mountain while she was home. This entry was posted on January 6, 2016 at 8:54 am and is filed under Uncategorized. You can follow any responses to this entry through the RSS 2.0 feed. You can skip to the end and leave a response. Pinging is currently not allowed.